Always happy to feature artists and more on The Spotlight! If you are or represent a talented singer, rapper, designer, etc., please email their bio, quality pictures, and copies of their work to BrittanyShawnte@gmail.com (please allow time for response). Today, we have talented Jamaican artist Bryan Art! Born in St. Ann, Jamaica, Bryan got his start in music at an early age, and learned to play the guitar at the age of eight. His mother actually taught him his first three primary chords that he continue to build upon throughout his life! The songwriter and producer graduated from the Edna Manly College of the Visual and Performing Arts, majoring in guitar (Caribbean, Latin American & Jazz Studies). Bryan spent his time there balancing guitar with photography and graphic art. He also took the time to teach music in Jamaican schools. In his career, Bryan started out as a guitarist and touring member of the Legendary Fire House Band. The experience with the band gave him the opportunity to supporting artists like Luciano, Mikey General and Sizzla. In 2001, Bryan branched out on his own as a recording artist, releasing his first single “Soon Come Back,” which he produced along with Courtney (John) Morrison. 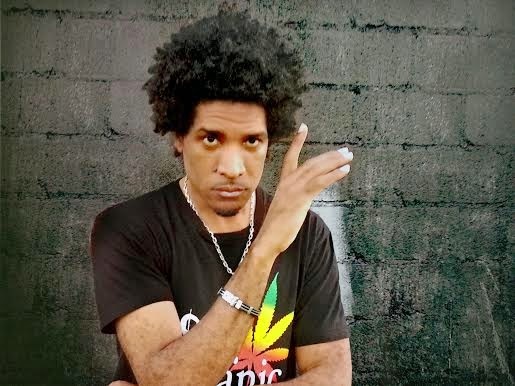 He was eventually signed to Chris Smith Management / FIWI Music Label, making a name for himself in Jamaica with hits like “Rock and Come In,” and “Get It.” Bryan has performed locally and internationally throughout the Caribbean, the U.S., Canada, and Europe. He has also used his songwriting skills to pen songs for artists like Etana, George Nooks, Bushman, and more! Inspired by artists like Dennis Brown, Toots Hibbert, Stevie Wonder, and Al Green, Bryan gives great vibes through his music. Obviously his music has a reggae/dancehall feel, but Bryan is great at creating songs with a positive message for listeners, so I definitely want you all to check him out! Listen to his Fresh Start EP below! You can listen to more of Bryan's music on SoundCloud, and connect with him on Facebook, Twitter, and Instagram! Snooki Gives Birth to Baby Girl!